July has very few targets, but the ones it has are all the more precious; they are like rare, beautiful jewels scattered across the night sky. 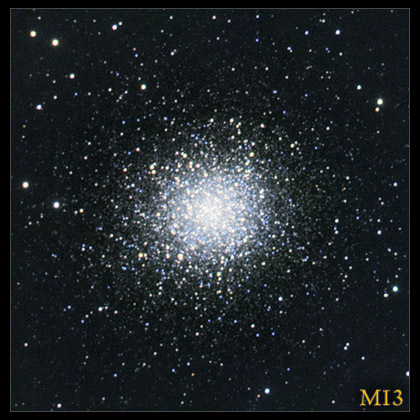 The most famous jewel in the skies of July has to be the beautiful star cluster known as M13. This spherical collection of stars lies out beyond the disk of the Milky Way, orbiting our galaxy the way a satellite orbits Earth. Another, less famous jewel is the object known as the Rho Ophiuchus Nebula. This stunning nebular complex shines in myriad colors and is a favorite target of many astrophotographers. The final jewel is the smallest of all, both in actual size and as seen from Earth. The Cat's Eye Nebula (NGC 6543) is a planetary nebula in Draco. Its small apparent size means that you will need lots of magnification to capture its details. But the result will be worth it.